The NFL playoffs get underway on Saturday with the first contest being the Indianapolis Colts taking on the Houston Texans. This is a battle of two AFC South rivals as the Texans enter as the division winner after going 11-5 during the regular season. Indianapolis earned a spot in the playoffs by winning over the Tennessee Titans in the last game of the season to finish 10-6, earning the final playoff spot in the AFC. When Andrew Luck went down and was forced to sit out the entire 2017 season, the Indianapolis Colts suddenly saw their chances of reaching the postseason come to an end. Since Luck had joined the team in 2012, the Colts had reached the playoffs in three straight seasons but saw that streak come to an end in 2015, as a three-year drought ensued. However, 2018 was an entirely different story. The Colts star quarterback helped lead his team to their first playoff appearances 2014 with victories in the final four games of the season, that included a 24-21 victory over the Texans in Houston that started the streak. The Colts were once 1-5, but won 9 of their last 10 games to earn a playoff berth. That included a 23-0 shutout of the Dallas Cowboys on December 16 and a 4-1 division record down the stretch. The Colts rallied behind the return of their star quarterback. Andrew Luck threw for 319 yards in the season opener and never looked back. Luck finished with 4593 yards passing, the second highest total in his career. He also threw for 39 touchdowns, one short of his single-season mark and was sacked only 18 times. Indianapolis finally provided a running attack for their star quarterback behind Marlon Mack. Back rushed for 908 yards and nine touchdowns, and added an impressive 4.7 yards per carry average. As a team, the Colts rushed for 1718 yards and had a 4.2 yards per carry average. The Colts average 27.1 points per game while allowing 21.5 per contest. They held opponents to 339.4 yards per game while averaging 386.2 per contest. The Colts were not the only team seeing their star quarterback return to lead his squad to the playoffs. In 2017, Deshaun Watson entered the NFL and instantly became a star, throwing 19 touchdowns in six starts. However, a torn ACL sidelined him for the remainder of the season, and Houston Texans would crumble, finishing 4-12. Watson returned this season, and had a stellar performance. The second your quarterback threw for 4165 yards and 26 touchdowns to help lead Houston to their third division title in their last four seasons. It was also the fifth time in franchise history that they have won the South Division. 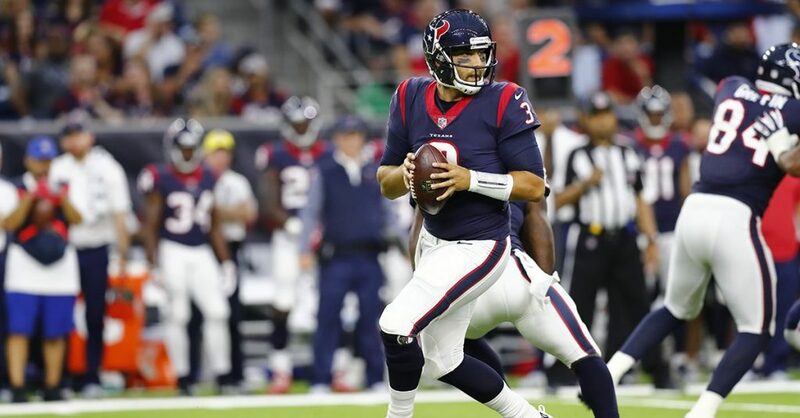 The Texans started out the season with three consecutive losses, and it quickly looked like their season was going to unravel before it even got started. However, Houston would rattle off nine straight victories before finally seeing their run come to an end when they lost to the Colts on December 9. Houston played in 11 nailbiter’s this season, as they went 6-5 in games decided by seven points or fewer. While the return of Watson was the story in Houston, the play of wide receiver DeAndre Hopkins cannot be ignored. Hopkins had 115 receptions for 1572 yards and 11 touchdowns. Hopkins finished second in the NFL in yards receiving and was third in receptions. J.J. Watt also returned after an injury plagued 2016-17 limited the star defensive player to just eight total games over the last two seasons. He returned with a vengeance to season, recording 16.0 sacks, second-most in the league. He also forced seven fumbles. Houston averaged 25.1 points per game while allowing 19.8 per contest. Their defense allowed 343.1 yards per game while the offense produced 362.6 per contest. 6-0 ATS in their last six games against teams with a winning record. 1-4 ATS in their last five playoff games. 3-1-1 ATS in their last five games against AFC South teams. 6-1-1 ATS in their last eight games against AFC teams. 4-1 ATS in their last five games at home. 1-5 ATS in their last six games against teams with a winning record. The line to this contest has dropped from Houston by 2.5 down to Houston by 1.0. Oddsmakers are getting uncomfortable with how well Indianapolis look down the stretch and considering that the road team is 7-1-2 ATS in the last 10 meetings between these two teams, including the Colts beating the Texans in Houston on December 9, and this game is almost a tossup. Indianapolis is 8-3-2 ATS in the last 13 meetings between these two teams and are 5-0-1 ATS in the last six meetings in Houston. The Colts have just enough of a running game to keep that Texans front seven honest, and the secondary has been picked apart by Luck all season. Take the Colts in a close contest. The total started out at 48.0 and has moved 48.5. the total has gone under in four of the last five meetings between these two teams but has gone over in 10 of the last 14 in Houston. In the prior meeting between these two teams in Houston, Indianapolis won 24-21. Statistically, the Colts have the better defense of this game, which is saying a lot considering Houston has quite a group. That is why you should expect the total to go under. Look for Indianapolis to win 27-21.